September 30, 2014 — Childhood is neither long enough nor broad enough. I wish that, during that most fertile of human phases, I had been influenced by way more things. Not enough stuff went into making me me. I know this because I didn’t expand and burst by the time I was 13. 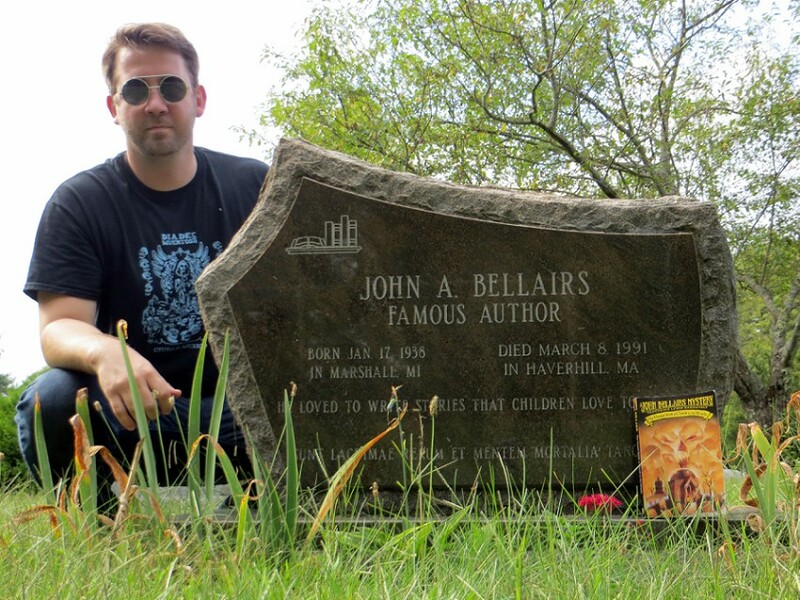 One of those omissions that probably handicaps me to this day is that I never came across the books of John Bellairs as a child. I only came across his books during the social media age. A random comment on Twitter caused me to put The House with a Clock in Its Walls in my Amazon cart, where it sat with other random purchases until one day when I absolutely needed a sink gasket or a new Sonicare, the book was sent to me along with it. Then, it kind of just sat on a table in my study, one of a long list of books jostling to be my next major personal undertaking that most blithely call “reading a book.” I did briefly wonder if I should crack it open for this Halloween Season since it’s of the spooky variety, but that’s something I wonder about way too many books to fit into a single Halloween Season. I was perusing the excellent Horror Guide to Massachusetts, a newly released guidebook by the brothers Scott and David Goudsward. The book covers a wide variety of Massachusetts allusions and inspirations from all horror genre media, including both fictional and real-life sites. 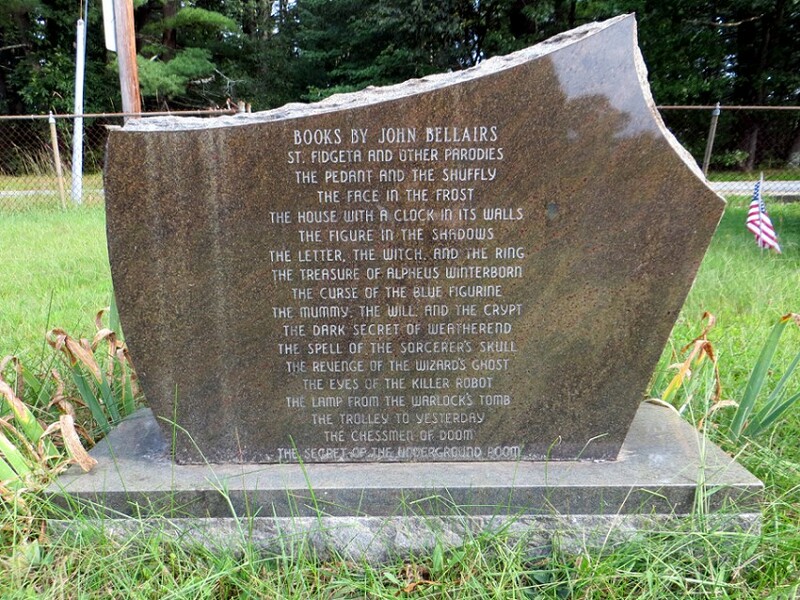 In that latter category, the brothers pulled some great places out that I’d never come across before...like the fact that Bellairs’s grave was a mere 45 minutes from my house. 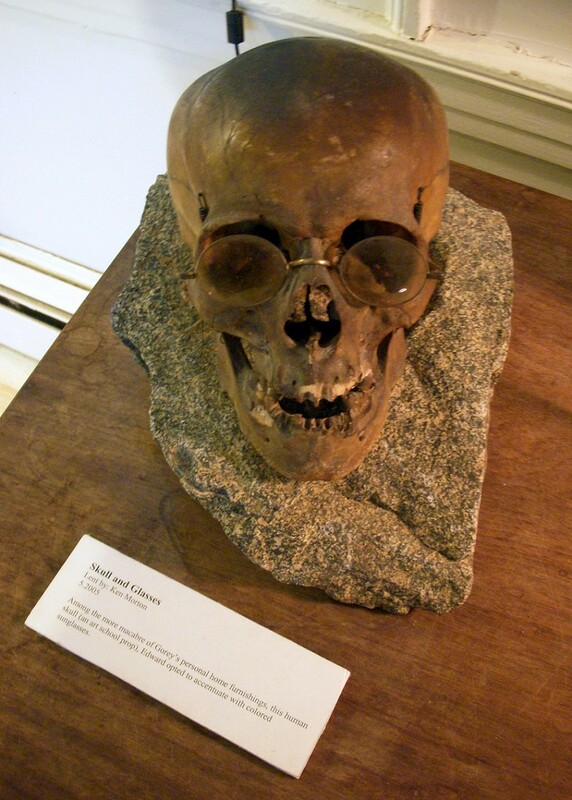 Nothing gets me more interested in an author than to know he’s dead, buried, and visitable, so I moved the book to the front of my queue, as they used to say in the olden days. My copy of The House with a Clock in Its Walls is a Puffin Press reprint from the 1990s. 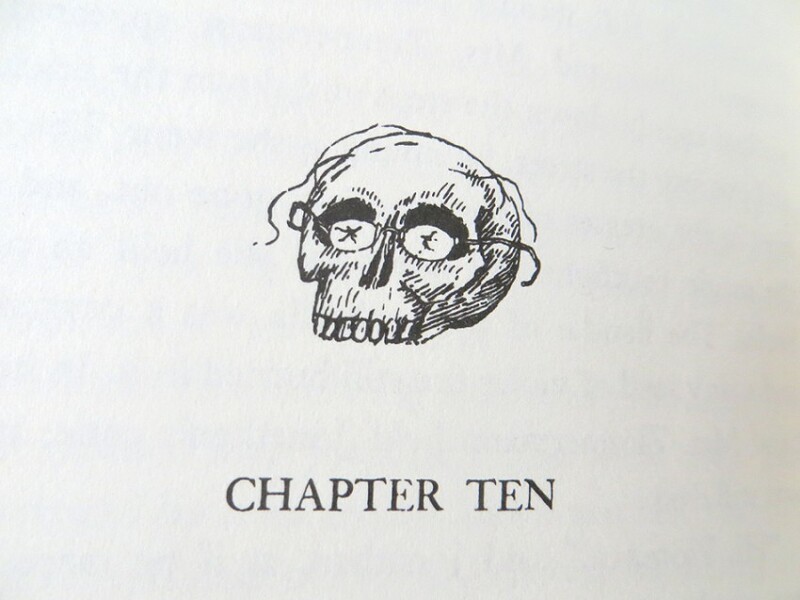 That means it doesn’t have the original Edward Gorey cover, although it still has Gorey’s illustrations throughout. This cover was by Bart Goldman and seemed to eschew both the house and the clock from the title to focus on two boys in front of a mausoleum, over which towers a skull-like face in orange clouds. It’s depicting the pivotal Halloween scene in the book. The book has all the tropes kids look for—dead parents, spooky old houses, post-bedtime forays, navigation of new friendships. Exactly the kind of book I would have hid under my pillow to read by flashlight after my parents tucked me in and went off to do whatever adults do after kids are in bed (which, now that I’m an adult, I know is clean kitchen counters and eat Oreos in front of the TV). The House with a Clock in Its Walls is the story of a 10-year-old boy named Lewis Barnavelt, who comes to live with his uncle in an old mansion in Michigan where he learns that magic is real and often real dangerous. It starts with him getting off the train. Goes through Halloween and Christmas. Ends with the world in the balance…in like 180, large-font pages. I really love two elements of this story: the concept and the tone. The concept is an old house, based on one in Bellairs’s hometown of Marshall, Michigan, that faintly ticks. Somewhere in its walls is an ominous clock, real or phantom, that obviously signals bad times ahead and cannot be found by Lewis’s uncle. 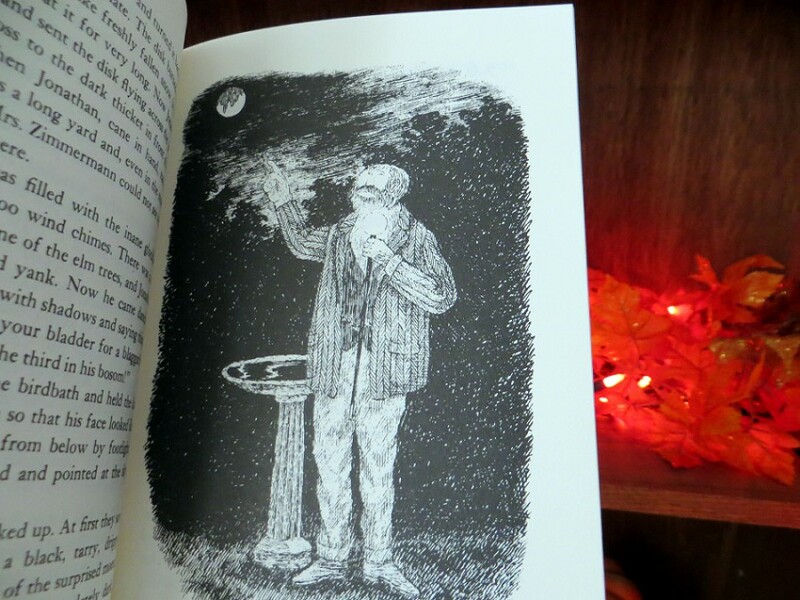 The tone that I love is the way that Bellairs treats magic, almost mundanely and almost like it’s David Copperfield magic instead of Gandalf magic. This allows him to create a threat that could destroy the world, while keeping the story cozy and small. There are only about half a dozen characters in the whole book. That last is an important point for me. I get tired of epic fast. It’s akin to that quote that’s always attributed to Mark Twain (except when it’s attributed to other people), “I didn't have time to write a short letter, so I wrote a long one instead.” I didn’t have time to create a nice, tight story, so I wrote a sprawling epic. I don’t know. I like my stories cozy, even epic ones. 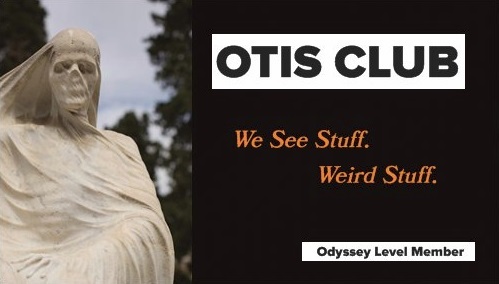 Anyway, this book is the first of a series with Lewis Barnavelt, all of them bearing great titles like The Beast Under the Wizard’s Bridge and The Specter from the Magician’s Museum. 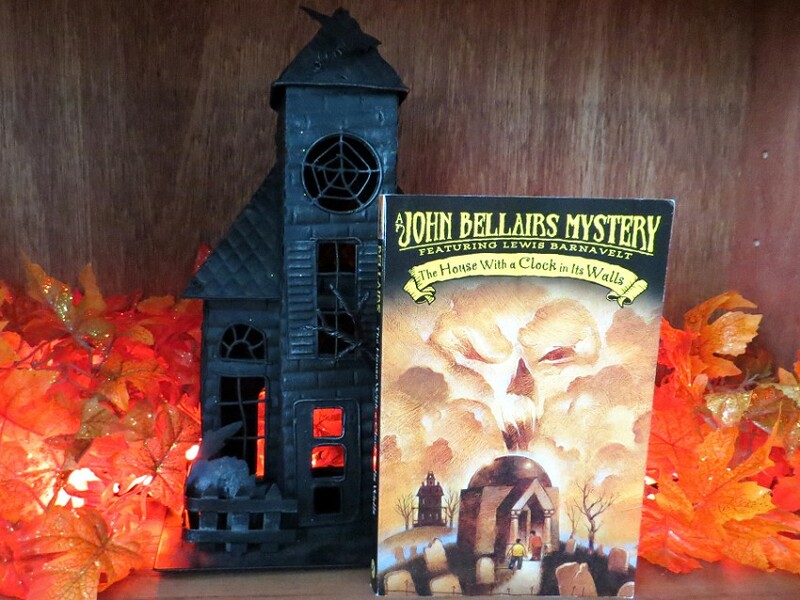 Bellairs wrote other children’s mystery series, as well, and part of me wants to run through all his books in succession. Another part of me wants to turn them into Fall traditions, reading one a season. 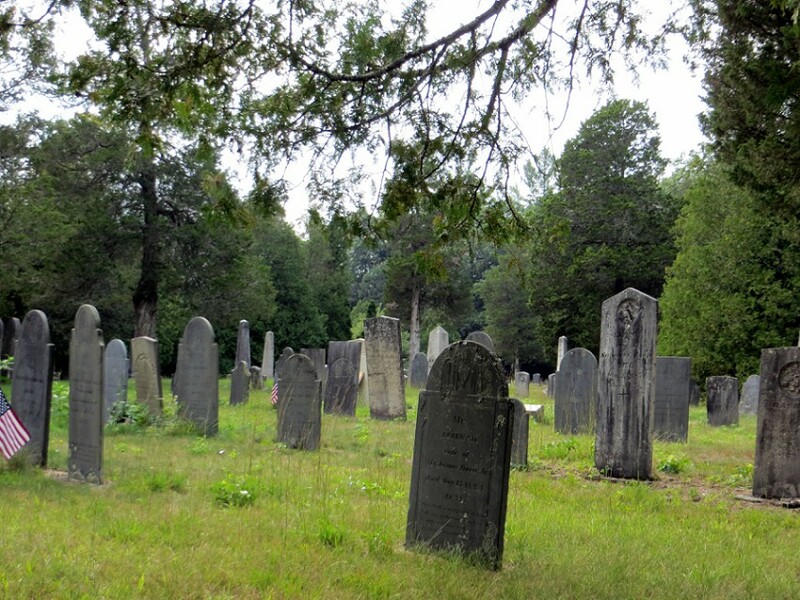 I’d finish up the last chapter of each sitting cross-legged on Bellairs’s grave while eating a caramel apple. And I can do that because now I’ve been to his grave. 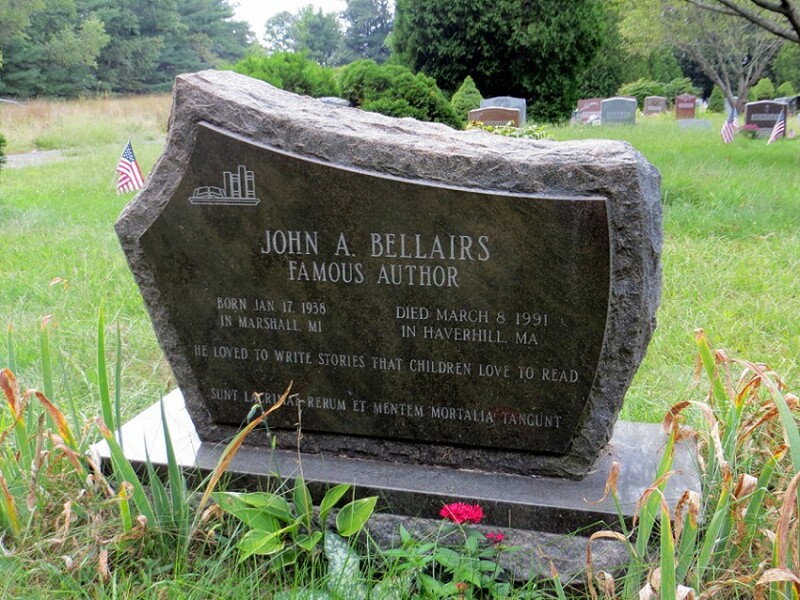 Bellairs ended up in Haverhill in the late 1960s, which he fictionalized into the setting of his Johnny Dixon mysteries, another of his children’s series. He died in 1991 at age 53 of cardiovascular disease and was buried in Greenwood Cemetery on E. Broadway in Haverhill. 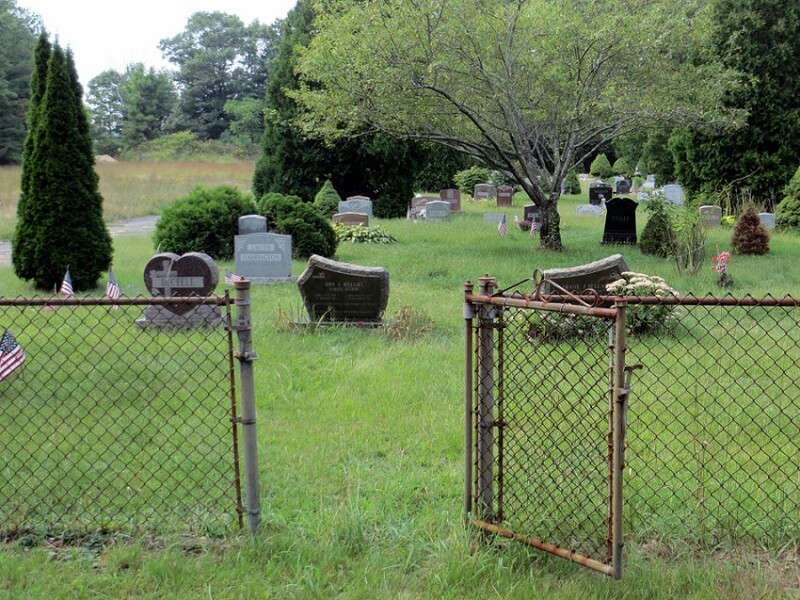 The cemetery is a small one, and the grave is easy to find, on the front edge facing E. Broadway. One of the chain-link fence gates opens right on it. On the back is something that should be on every author’s grave—a selected bibliography. And I can now cross of The House With a Clock in Its Walls off that stony list. Oh, and I love this bit. The top picture is an Edward Gorey chapter heading illustration from The House With a Click in Its Walls. The bottom, an item in the Edward Gorey house that was from Gorey's collecgtion.